And it's not just the churning mud or the constant bombardments they have to worry about... the fearsome Weeping Angels are here and feasting on the futures of the soldiers on all sides! The second volume of the ongoing Doctor Who: The Tenth Doctor comics series. 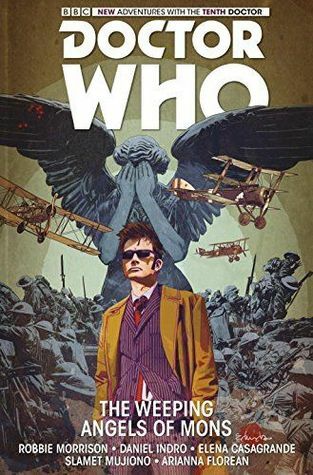 The Weeping Angels of Mons is a collection of #6-10 of the Tenth Doctor comic series from Titan Comics. There are two story arcs in this volume: A scary weeping angels story, crossed with a poignant tale of the first world war, then Echo, a strange but quite wonderful short arc about an invasion of two alien species back in New York. The Tenth doctor is in his element in both these stories as he babbles his way through situations, and I do really like Gabby as a companion as well. I always thought the Weeping Angels stories are some of the saddest (and scariest!) in Doctor Who – the idea of displacing someone in time to feed off their lost future seems a pretty nasty one. Combine this with the story of casualties of World War I and you’ve got plenty of tears, even for those who live full lives after having been touched by an Angel. It’s pretty hard to get the tension of the Weeping Angels onto a static page. I mean, the scary part is when they actually move, and it’s pretty impossible to create a jump scare on paper! The creators of this story do a great job with making the Angels as terrifying as they can be in two dimensions. This would make an amazing episode on TV, though. The second story, Echo, is a bit lighter in tone, but instead ends up very strange as the inhabitants of New York are overcome by the noise in the city and just start screaming non-stop. It’s a weird story but only short so they Doctor and Gabby make short work of solving the problem. I enjoyed these stories, but perhaps not quite as much as the first volume. 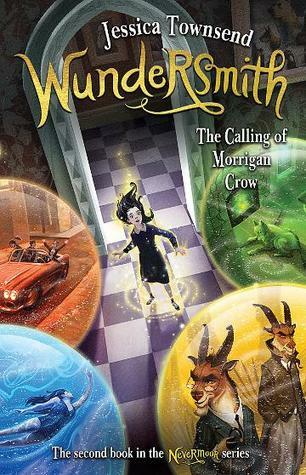 Still, it’s an excellent addition to the wealth of DW tie-in stories and I’ll be looking out for volume three! I just watched this episode recently and it was truly scary. I love Carrey Mulligan and the plot was excellent! My daughter is a big Dr. Who fan; I wonder if she would like these! She’s really into manga right now, and this looks a little like the books she’s been reading. My sister is a huge Doctor Who fan, I’m buying her these 🙂 the covers are amazing!